Dr Peter Harrop is the Founder and Chairman of IDTechEx. Raghu is the CEO of IDTechEx. He has tracked emerging technologies for over 17 years, helping organizations (from Fortune 500 companies to start-ups) make the best strategic decisions based on profound research. Dr Jon Harrop MA MSci PhD (Cantab) has been a director of IDTechEx since 2012. He earned degrees in natural sciences from the University of Cambridge and has published peer-reviewed academic papers on physics, chemistry and biology in journals such as Physical Review with a focus on computational science. He has worked on emerging technologies ever since and consulted for a wide variety of companies including BP, Aviva and Microsoft. He has authored and co-authored dozens of books and reports over the past 25 years from New Intelligent Printing Techniques (1995) to 3D Printing (2017). Jon currently manages the analyst team at IDTechEx. James leads IDTechEx's research around markets and enabling technologies for wearable electronics. This has included producing hundreds of interview-based company profiles for companies spanning the entire value chain, and authorship of several IDTechEx reports, including Wearable Technology, Wearable Sensors, E-Textiles and Haptics. 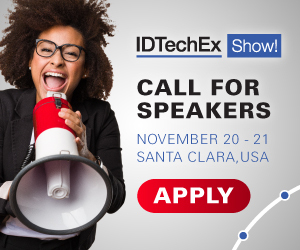 As part of IDTechEx's consulting services, James has worked on custom projects with billion-dollar companies based in the USA, Europe, the Middle East and Asia covering various areas surrounding wearable technology, e-textiles, and related topics. This has included detailed material and component benchmarking, competitive analyses and investment partnership advisory services. As a speaker, James has given keynote presentations on topics including wearable technology, e-textiles, sensors, haptics and other emerging technology trends at international conferences across Europe and the USA. Dr Richard Collins is a Senior Technology Analyst at IDTechEx.